Ozil’s 58th-minute strike ultimately secured back-to-back away wins in the league for the first time since the 2016-17 season after Granit Xhaka had opened the scoring, with substitute Ciaran Clark reducing the deficit in stoppage time. Asked if Arsenal would benefit from the former Germany international’s decision to retire from international football, Emery said: “It’s a new way for him. “We want his performance each training day and in each match and for him to give us his quality. I want also his best performance for us and he worked well at first and had a good match. “For me, every player is the same. We want to give them confidence and also push them. Today, I am happy because I want every player to have chances to score and he scored today. With half-time substitute Lucas Torreira pulling the strings, Ozil doubled their advantage as the Magpies wilted and it was not until a last-gasp barrage that Clark pulled one back. 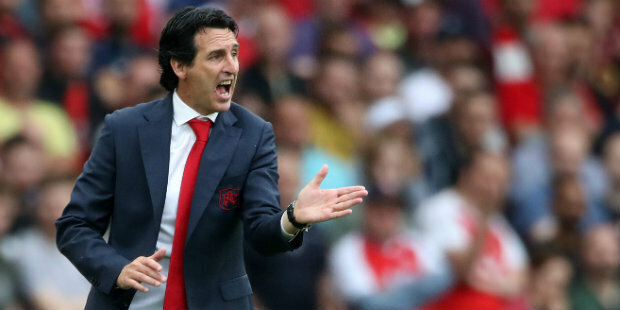 Emery said: “In the first half, we couldn’t control the match like we wanted and we needed that control to impose our ideas, our possession and our positioning. “We conceded a lot of chances to counter-attack in transition and a lot of chances from corners and possibilities to arrive into our box. Be the first to comment on "Arsenal boss issues challenge to Ozil after win at Newcastle"